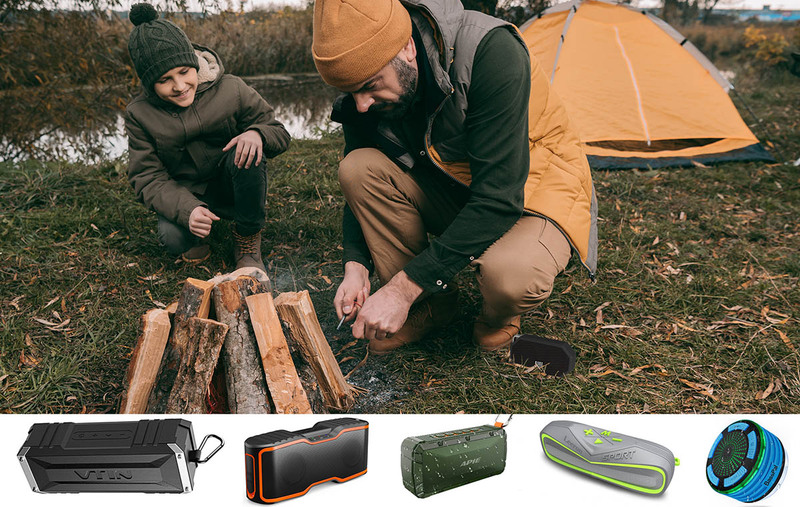 Good Sound At A Great Price, And The Ability To Withstand The Elements Make These Speakers A Welcome Addition To Any Campsite. One of the fun challenges of camping is dealing with unexpected weather, and those of us who camp in places where the weather can get wet quickly learn to prepare ahead of time, so that we are ready when it happens. It is important to have a way to ensure that any item we don’t want to get wet can be put somewhere out of harms way quickly, but if the equipment we bring can stand up to the unexpected elements without our intervention it makes things easier and potentially less expensive. 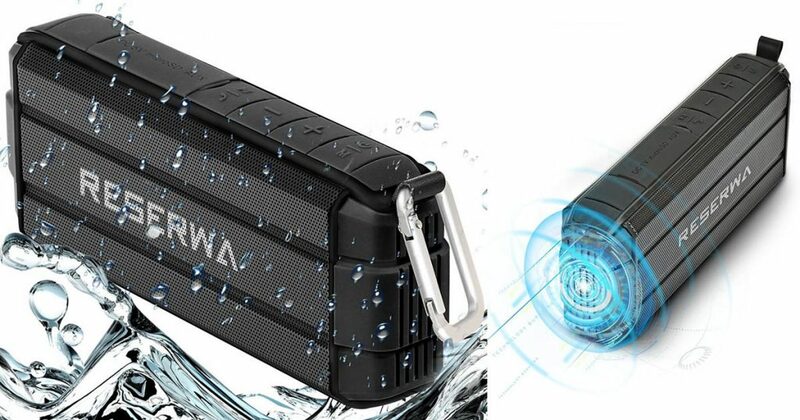 Up until a few years ago it was tough to find a decent waterproof speaker for less than $100 much less under $50, but the quick moving pace of technology has brought decent sounding waterproof speakers at budget prices. 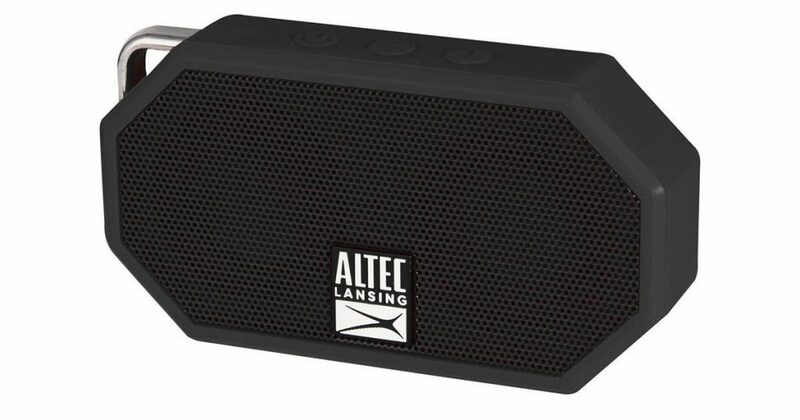 Obviously the speakers in this post are not on the same level as the high end portable waterproof speakers like the Bose Soundlink Resolve or the Altec Lansing IMW778-RED, but they do sound great considering the price. 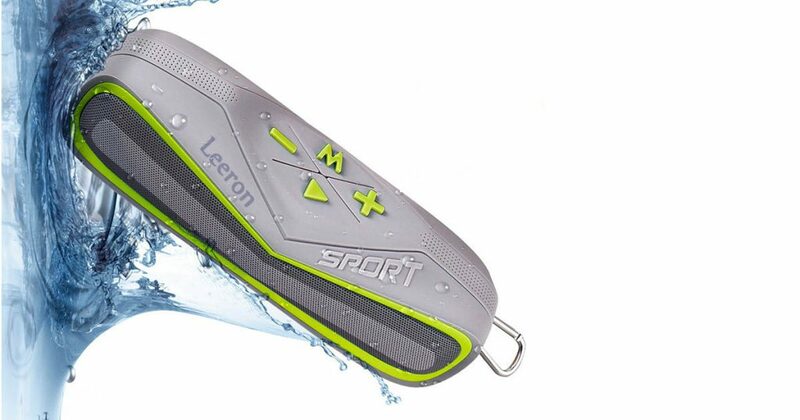 Here are a few of our favorite waterproof speakers under 50 bucks. What Makes it Unique? It floats on water! Sound Performance: This tiny speaker is packed with dual 1-inch drivers that delivers a respectable sound quality for its size. Ruggedness: It has an IP67 rating, making it waterproof, shockproof, and can withstand elements like sand, rust, and snow. Portability: It’s battery life is estimated to last for 6 hours. Added Features: It is super light and it comes in different cool colors. It has a hands-free speakerphone feature. Sound Performance: Its stereo sound comes from its dual 5 watt drivers and passive radiator. Ruggedness: It has an IPX6 rating for water proofing—making it safe enough to bring to the beach and in the shower without complete submersion. Portability: It is powered by a rechargeable 22000mAh lithium battery that can provide 10 hours of playtime. Added Features: It has a speakerphone to conveniently pick up calls. It’s military inspired look of green grille and orange highlights makes it look more tough and robust. What Makes it Unique? It features an FM radio on the go and amazing LED mood lights! Sound Performance: With its compact design, its 5W driver can fill the room with loud music and powerful bass. Ruggedness: It is an IPX7 certified that makes it a perfect companion for all water activities and wet environment. Portability: It comes with a strong suction cup and its battery life lasts for up to 6 hours of playtime. Added Features: It’s one of the few Bluetooth speakers built with FM radio and a microphone. Sound Performance: It delivers loud enough sound with crystal clear stereo quality. Ruggedness: It bears the IPX7 certification, making it waterproof and shock-proof. Portability: It promises a playback time of 16-18 hours of continuous music. Added Features: Allows hands-free calling with its built-in microphone. It comes in various playful colors and a metal chain to easily hang anywhere. What Makes it Unique? It’s surround stereo speakers produces an impressive powerful sound! Sound Performance: It’s regular response range is between 150 Hz-20kHz, powered by a dual 5-watt driver. Ruggedness: It has a military-grade process with IPX6 waterproof dust-proof, and shockproof. Portability: It is equipped with a 4500mAh high capacity lithium-ion battery which could for a 12-hour of music playtime. Added Features: It features its high-definition LMS algorithm noise-canceling microphone. What’s New? It is the 2017 recent update to its original Swimmer Bluetooth Speaker. It has option to pair and link two Boom Swimmer Duo together for a true left and right stereo audio. What Makes it Unique? It still has its iconic flexible tail and suction cup attachment to easily loop and twist its end. Sound Performance: It is built with 30mm driver and 45mm passive radiator. It has a 240Hz-15kHz Frequency Response. 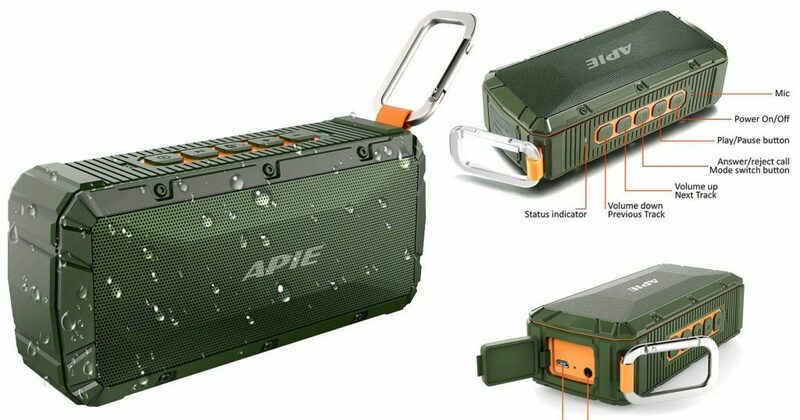 Ruggedness: It still features the waterproof (IPX7 rating), dirt-proof, and shock-proof housing. Portability: It is conveniently portable at 0.4 lbs. And provides 8 hours of playback time. Added Features: It comes with a built-in microphone. What Makes it Unique? Impressive battery life! Sound Performance: It is powered by 20 watt drivers that delivers a clear and crisp sound. Ruggedness: It is made of rubberized exterior that makes it withstand elements such as dust and dirt. It is also protected from crash and bumps. 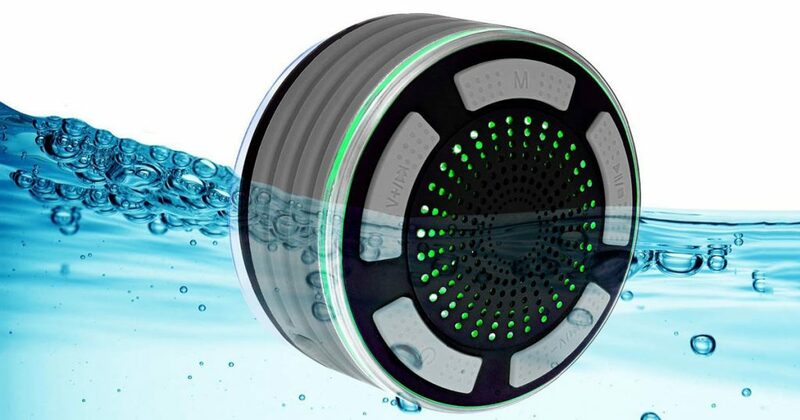 It bears the IPX4 Splash-proof Rating which means it can withstand s little splash of the rain or pool water. Portability: It has an impressive 25 Hours Battery life at 70% Volume with a built-in 4400mAh battery. 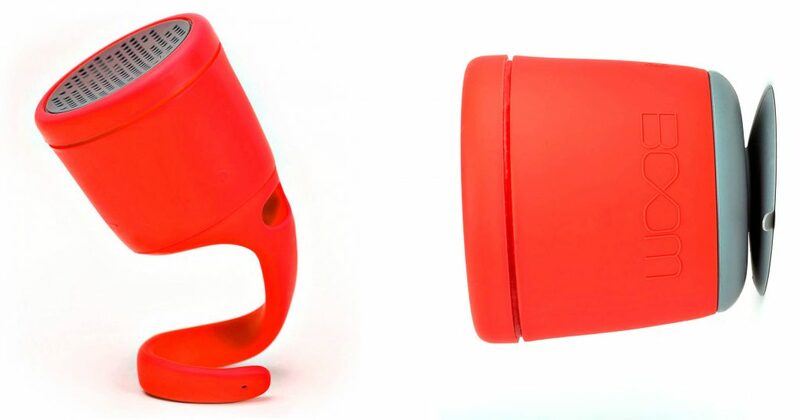 Added Features: It has a hand-size design and a “D” ring to conveniently attach the portable speaker to a backpack or a lawn chair. For a brand that is new to our ears, it impressively offers a 12-month warranty and free lifetime technical support and professional after-sales consultation.